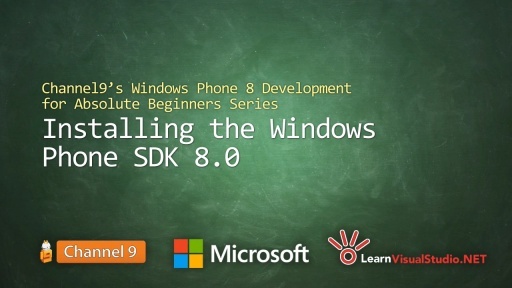 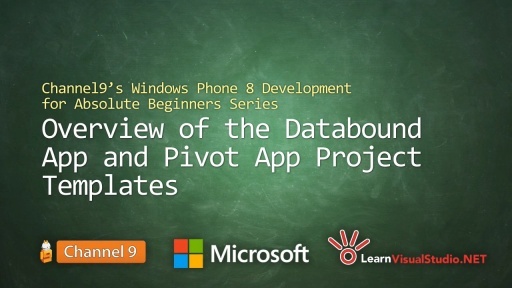 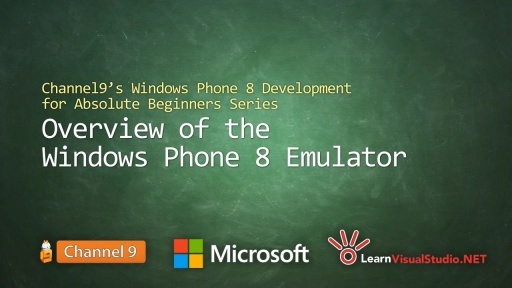 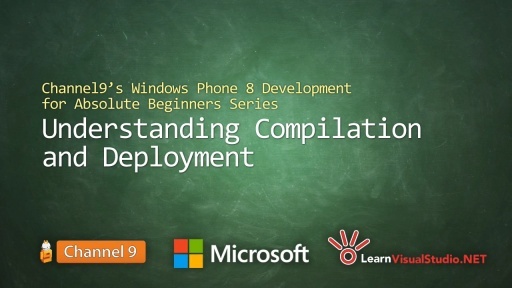 Bob Tabor (LearnVisualStudio.NET) and Clint Rutkas (Microsoft/Channel9) team up to deliver this 11+ hour Windows Phone 8 Development for Absolute Beginners series! Not only will you learn the absolute basics of installing and working with Visual Studio Express 2012 for Windows Phone and the Emulator, but you'll also learn XAML layout and events, how to utilize many of the Phone's built in features and additional open-source libraries. Best of all, this series will walk you through building two complete store-worthy apps. 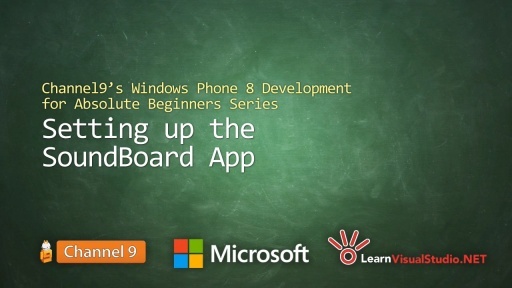 The first app you'll build is the SoundBoard app that allows you play pre-recorded sounds and record your own custom sounds. The second app you'll build is the AroundMe app which integrates the Phone's Map, GPS and Lock Screen capabilities with Flickr's API.